This summer young dancers from across England are coming together to create an inclusive dance film. 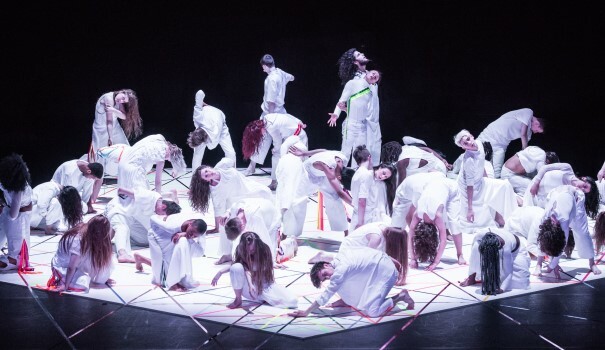 This exciting opportunity has been sparked by a shared ethos between NYDC and Corali Dance Company to support the personal and professional development of young dancers with disabilities. This is a dance film made by the young dancers themselves. The choreography will be led by Paul Davidson, who is a dancer with both NYDC and Corali, using a collaborative process and including input from the cast of eight dancers. A team of skilled dance and film professionals will mentor Paul and the cast. They will animate the dancers ideas and guide them to build the structure, content and storyline. NYDC and Corali are delighted to invite project partners Pavilion Dance South West and TIN Arts (Durham) on board who have each selected dancers to be involved in this exciting opportunity. The cast includes a Aaron from Wheelfever (PDSW), Alix and Rachel from TIN Arts, Sherri from Corali’s Youth Dance Company Kick Up, Beth from NYDC. It also includes three NYDC Alumni, Jam, Hannah and Kennedy who will be support the process and short, as well as dancing in the film themselves. The finished film will be ready in September and plans are beginning to take shape for it to be screened across England at various performance and film events in the coming year (watch out for a list of dates and venues soon!). The film will also form the starting point for five inclusive dance workshops taking place across England this winter, and will work to inspire other dancers to make dance films and to work in an inclusive way.